Welcome to Holly Cottage, a detached stone built cottage quietly located in the Nidderdale Area of Outstanding Natural Beauty. Situated in the historic heart of Lofthouse and surrounded by the stunning scenery and landscape of the upper dale, this 4 Star 'Gold Award' winning holiday cottage lies just steps away from the 'Nidderdale Way' (a 53 mile circular walk) and minutes away from Gouthwaite and Scar reservoirs where an abundance of bird and wildlife can be spotted throughout the year. 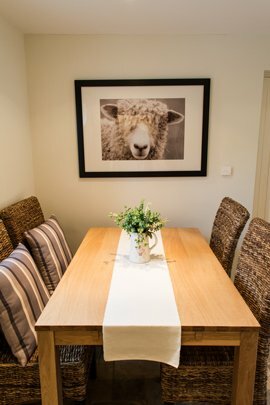 Holly Cottage, built in 2006, combines the modern comforts of underfloor heating, log-burning stove and top quality fittings, with traditional materials such as oak and stone providing a warm and welcoming base from which to explore the delights of Yorkshire. You will discover walking and cycling routes on your doorstep, the local pub offering a friendly welcome, excellent beers and homemade food, whilst the spa town of Harrogate, historic York, nearby market towns, local heritage sites such as Fountains and Jervaulx Abbeys, and the Theakston and Black Sheep breweries are just a few of the many attractions within easy reach by car. We look forward to welcoming you at Holly Cottage and to this idyllic part of Yorkshire.